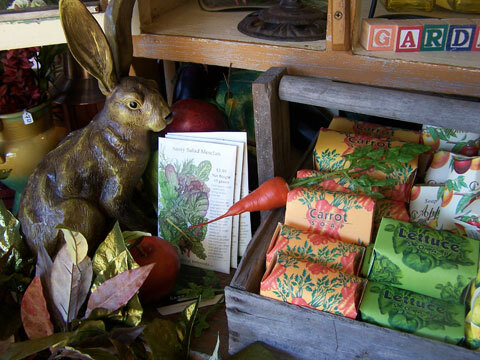 In the center of town lies a historic tin creamery dating back to the 1890's, which makes a perfect backdrop for what it houses now... 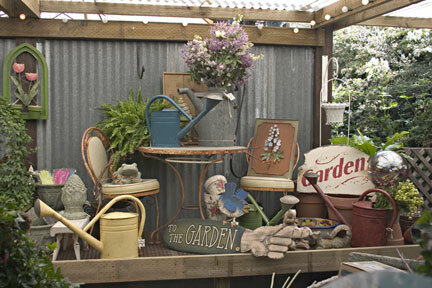 The Garden Shed. 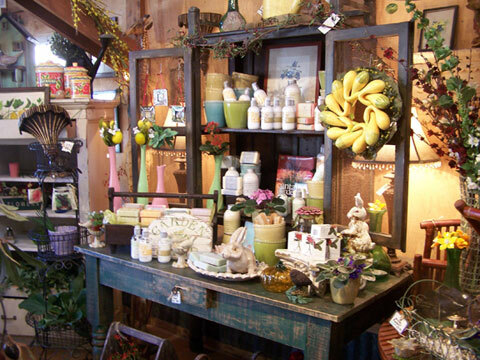 There is so much inspiration with the ever-changing merchandise and ideas to take home with you. 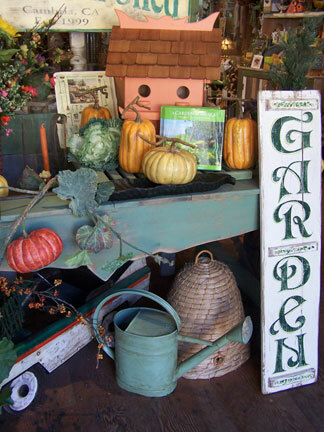 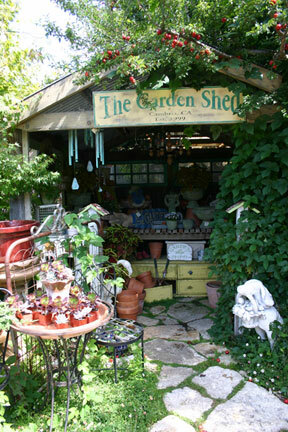 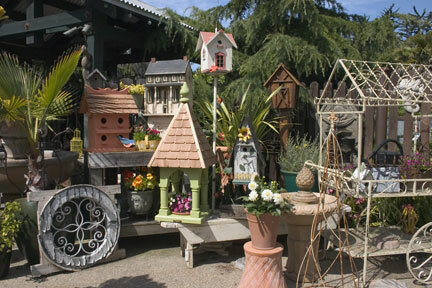 The Garden Shed is the place to shop for those hard to find gifts and unique garden items. 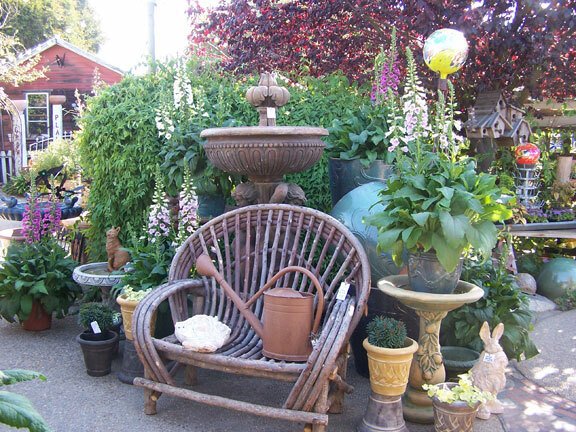 Browse 6000 square feet of merchandise beautifully displayed on custom potting tables, cold frames and vintage furniture, which would enhance your own garden and home. 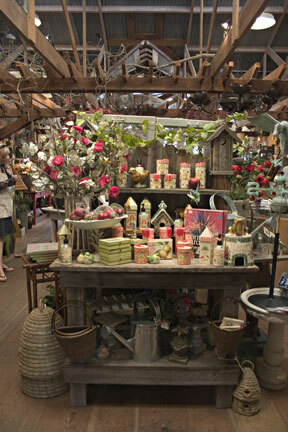 Hats, gloves, and aprons, garden books, hand tools, lotions and bath products all surrounded by silk flowers, indoor plants and domestic beauty. 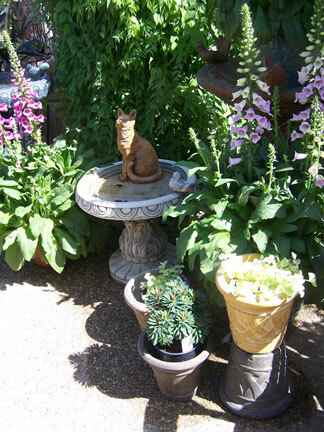 Walk around pathways of flagstone and mosaic tiles enhanced with a great selection of fountains, statuary, pottery and iron pieces. We are always searching for new items that will add to the beauty of your garden while simplifying the task of finding it. 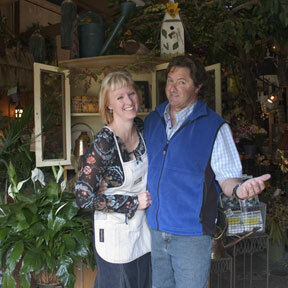 Beautiful hand selected foliage but still so much more than a nursery.